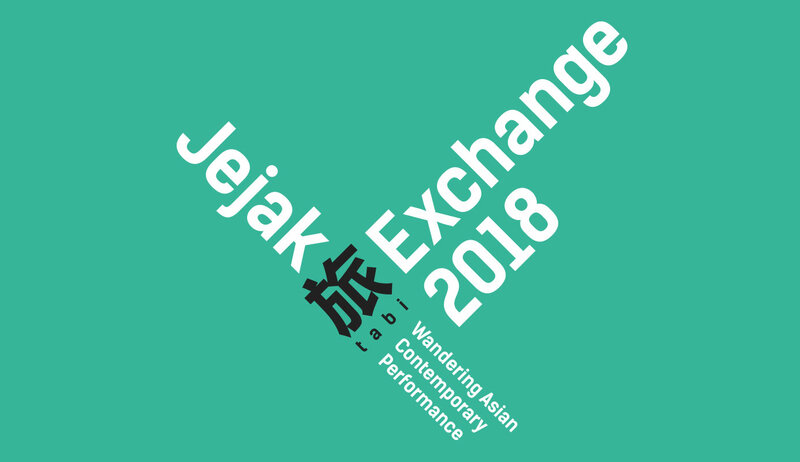 In this talk, three young artists and/or art workers from three different Asian cities will share their entries to the art practice, their concerns and how they translate those into artistic thinking into actions. Thanapol is a choreographer and theatre director based in Bangkok. After graduating from Thammasat University with a degree in Film and Photography, he began to pursue his passion for Dance and the Performing Arts. Throughout his extensive study of dance he deepened his curiosity in the function and form of Dance Art in our contemporary society. Thanapol has continually created subversive dance performances to investigate his questions and interests about the presentation of a body in space. Thanapol was selected to as representative artist from Thailand to participate in Korean-Asean fellowship program in Seoul (2005), Modern Dance Programme organised by The John F. Kennedy Center of Performing Arts (2010) and Internationales Forum (2015), Theatertraffen in Berlin. In 2013, his conceptual dance performance, TRANSACTION dealing with global economic system, won the award for best direction in a performance and in 2014 his contemporary dance performance “Hipster The King”, won three awards from IACT (International Association of Critics Thailand). In 2016 this piece has toured internationally to the Offene Welt festival in Ludwigshafen, Festival Theaterformen in Germany and the STORE HOUSE Collection in Japan. Thanapol’s most recent work, Happy Hunting Ground, created in collaboration with Badisches Staatstheater Karlsruhe, was performed in Thailand, Germany and Switzerland. Satoko Ichihara is a playwright, director and novelist. Born in 1988, she studied theatre at J.F. Oberlin University. Starting Q in 2011, she narrates the absurdity of life and the vitality of humans who shine in the rankling world from the perspective of female, delivered mainly in monologues. While setting the great value on the bodies of performers, she also puts an emphasis on the expression of texts and their rhythms. Her works are carefully built as if from the eyes to observe the human’s and animal’s behaviour, would soak the audience in the vibrancy and the bounding pulse of life. In 2011, Satoko received the Aichi Arts Foundation Drama Award with the play Insects. In 2017, her play Favonia’s Fruitless Fable was nominated as one of the finalists for Kishida Prize for Drama; and it was invited to Seoul Marginal Theater Festival. In 2018, she has been selected as the Saison Foundation Junior fellow Artist. Sekar Putri Handayani started working in performing arts field since 2007 as freelance production manager, working with some senior artists from abroad and Indonesia. Since 2014, she has been working as an independent producer, especially on dance. In 2017 she co-founded Rumah Banjarsari, a public/art space where she also serves as general manager. As dance producer, she has been working intensively with Otniel Tasman, a young choreographer from Banyumas, Java, developing research-based work and combining script material with exploration-improvisation. In Rumah Banjarsari, she is exploring ways of working with various communities and artists. She taps into a wider opportunity to work in performing arts, often engaged discussion focusing on artistic element in support of making artistic decisions. In running the space, she applies curative materials as the guideline for the programs. 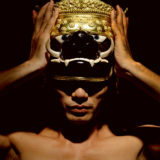 Joned Suryatmoko is a theatre-maker, performer as well as playwright. He is founding director of Yogyakarta-based Gardanalla Theatre and Festival Director for Indonesia Dramatic Reading Festival (IDRF). He presented his play in Asia Playwright Meeting in Tokyo, Japan (2009) and Melbourne (2011), Virgin LabFest Manila (2006), PEN World Voices New York (2015), The Global Voices Portland, USA (2016/ 2017), and Asian Drama Conference London/ UK (2018). Currently Joned is interested in the border between theatre and performance, between linearity and simultaneity, character and autobiography, as well as acting and authenticity. Taking this border as starting point, he has continued expanding his interest by investigating how these performative means (such as theatre and performance) have been used by citizens to articulate their political aspiration. "Between Theory and Practice: Getting to the Contemporary"